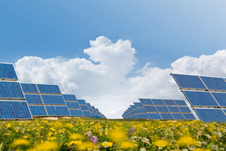 Clean technologies are one of the central topics in the European scientific community. There is a strong government support of research projects in clean technologies, energy efficiency and renewable energy in Europe. For this reason, we can observe a large number of innovative technologies that have emerged recently in these spheres. Here are 10 cleantech research projects that are conducted at the moment or have recently been completed in different European countries. The scientists of each project are developing new technologies that have a big potential to become new breakthroughs. The conversion of natural gas to liquid fuel is a promising way to relieve dependence on decreasing fossil fuel reserves. Production from methane of a precursor to liquid fuel called syngas, or synthesis gas, is one of the most costly steps of conventional routes to gasoline. Scientists working on the EU-funded project ‘Innovative catalytic technologies and materials for next gas to liquid processes’ (NEXT-GTL) are addressing the main cost and technical challenges associated with conventional gas-to-liquid (GTL) processes. NEXT-GTL is developing novel cost-effective and efficient methods for catalytic conversion of methane to liquid fuels for the transportation sector. Significant cost reductions will truly make GTL a viable alternative to traditionally less costly production of liquid fuels from crude oil, with important benefits for the environment and industry. There has been a lot of talk in recent years about the hydrogen economy. 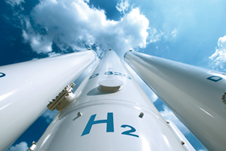 As a reliable, clean and green source of energy, hydrogen can radically change the way we generate and consume energy. At the same time for hydrogen to truly come into its own as an energy source requires improvements in the ways we generate, store and transport it. Although hydrogen is currently extracted from fossil fuels in central facilities, a gradual shift can now be identified towards decentralised production based on water electrolysis, using the electricity from renewable sources. To help facilitate this transition, the ‘Water electrolysis at elevated temperatures’ (WELTEMP) project has been launched. The strategic goal of the WELTEMP project is the development of a polymer electrolyte membrane (PEM) electrolyser. An electrolyser is a device which splits water into hydrogen and oxygen using electrical energy. Compared to the conventional alkaline electrolyte electrolyser, the polymer electrolyte membrane (PEM) electrolyser can operate at high current densities and pressure with compact design. In this way the energy efficiency will be significantly improved because of enhanced electrode kinetics, decreased thermodynamic energy requirement, and possible integration of the heat recovery. The technologies that are developing and testing by WELTEMP promise to boost the efficiency and bring down the cost of water electrolysis for hydrogen production. Scientists from Capmix project are exploring a new way to produce electricity directly from the difference in salt concentration between fresh water and sea water. Actually, energy can be gained by mixing two kinds of water with different salinity. This idea was formulated for the first time by R. Pattle in 1954. 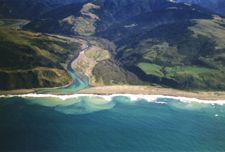 Mixing 1 m3 of fresh river water with a larger amount of sea water gives a mixing energy of 2 MJ. (To extract the same amount of energy from fresh water via conventional hydropower we will need a dam with a height difference of 200 m). This type of energy generation is inherently clean and the generation process can be built practically anyway where the rivers flow into the seas or oceans. However, a technology to economically harvest this energy has not been developed yet. Capmix project is developing a technology to exploit this energy source. The principal advantage of the developing technology is that the electricity generation is directly linked to the mixing process, while no additional intermediate conversions are necessary. So, there is no need for expensive and complex converters like turbines or electrochemical reactions. Therefore, this technology has a big potential to become a profitable and eco-friendly energy source, which is available all over the world. The scientists estimate that the European potential for Capmix technology is power production equivalent to that of 94 coal-fired plants. If the 70 % efficiency target is reached, Capmix could supply up to 17 % of the EU’s electricity needs. Insulating tape is used in electrical power generation to protect against voltage leaks and enhance energy conversion efficiency. The majority of generators rely on conventional tape structures, consisting of heterogeneous layers of different materials. 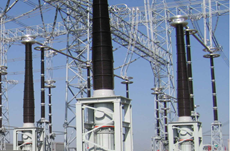 Such structures are highly inefficient, as each interface represents a potential thermal barrier or source of high voltage discharge. The scientists from ANASTASIA project are developing radically innovative electrical insulating tapes as well as processes to improve energy conversion efficiency of electrotechnical systems. The aim of the project is to replace current insulation tapes with tapes integrating nanofillers, in order to increase their field strength and thermal conductivity. This will increase energy conversion efficiency, which will have important impact on high-voltage power generation productivity and costs. 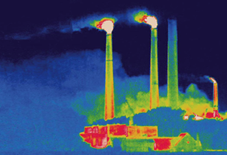 The aim of ‘Low temperature heat valorisation towards electricity production’ (LOVE) project is to improve energy efficiency in process industry, by converting low temperature heat (currently unused) into electricity. The LOVE project members intend to identify low-temperature (< 120 degrees Celsius) waste heat sources and develop cost-effective technologies for their conversion into electricity. -Develop comprehensive computer-aided methodologies for decision-making with respect to valorization of low-temperature heat sources. -Exploration of high efficiency conversion cycles (e.g., ORC, Kalina) that use low impact working fluids. Harnessing the Sun’s energy for electricity is perhaps the most sustainable alternative to fossil fuel combustion conceivable. Conventional solar cell efficiencies are theoretically limited to approximately 33 %: this is known as the Shockley-Queisser efficiency limit. A new type of solar cell technology known as excitonic solar cells (XSCs) or sensitized solar cells, can in principle overcome such limit when particular absorbers are used, which allows what is called “multi-exciton generation” (MEG). ‘Innovative materials for future generation excitonic solar cells’ (INNOVASOL) project investigates new materials for the development of highly efficient XSC devices. Researchers are developing new nanomaterials that could allow solar cells to overcome current existing efficiency limits. The last project’s results indicate that several key materials have been identified and characterised during the project. This includes a new type of quantum dot for light absorption and several novel molecular relays for the transfer of excitons. A prototype solar cell was also developed using some of the new materials. INNOVASOL could thus improve solar cell efficiency through their novel approach to photon capture and transfer. The new materials will allow clean energy from the Sun to compete with traditional, environmentally unfriendly energy sources. Scientists from Cleanex project are developing an online cleaning system for heat exchangers, which are one of the key components of refineries. 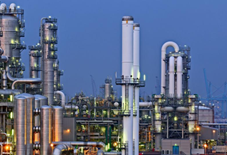 Fouling of heat exchangers in refining industry crude oil preheat trains is a chronic operating problem that reduces heat transfer and energy recovery in these systems costing the industry $4.5 billion per annum. 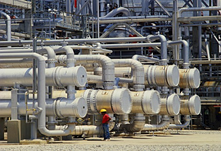 Eight percent of industrial plant operating costs may be attributed to heat exchanger fouling. Despite enormous costs associated with fouling, the industry relies on off-line cleaning because there are no on-line systems capable to operate under high temperature, low velocity conditions with chemically reactive fluids. The cost of taking plant off-line inevitably means that a heat exchanger operates at significantly less than peak efficiency. The aim of Cleanex project is to develop an innovative technology based on on-line cleaning and injection that will significantly increase energy efficiency while decreasing costs and emissions. 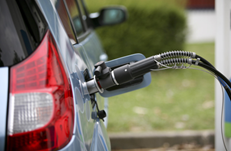 Cars running on electricity have a great potential for significant market success. However, several technical issues must be solved to aid the transition from conventional fuel-driven vehicles towards electrically driven. One of such issues is related to the extension of the distance that an electric vehicle can drive on one battery charge. In order to facilitate the transition from conventional towards electrically driven vehicles, there is a short term need for advanced plug-in hybrids and electrical vehicles with range extenders for regular customer duty. ‘Multi-fuel range extender with high efficiency and ultra-low emissions’ (Fuerex) project was launched to develop new technologies of range extenders. Range extenders are autonomous auxiliary power units that extend a vehicle’s operational range. The design of a range extender includes an engine, which drives a generator, producing electricity to the vehicle’s electric battery. The scientists are studying three types of spark-ignition (internal combustion) engines that have the best potential to meet all needed requirements (one is working on conventional fuels and two others on biofuels). The final objective of this project is the demonstration and validation of the developing technologies at a realistic scale. Three test vehicles will be built and equipped with three different types of range extenders and battery packs (one compact passenger vehicle, one large passenger vehicle and one light commercial vehicle). The scientists from ‘Carbon dioxide capture and hydrogen production with membranes’ (Cachet II) project are developing technology to enable capture of carbon dioxide (CO2) with simultaneous separation and production of hydrogen gas (H2) that will be possible at coal and gas fired power stations. Cachet II members are developing metallic (palladium (Pd)-based) membranes for high capacity H2 separation and production and simultaneous CO2 capture from pre-combustion syngas. Syngas, also called synthesis gas, is a mixture of carbon monoxide, CO2 and H2 produced by the gasification of fossil fuels prior to combustion. Pd-based hydrogen-permeable membrane reactors capture nearly 100 % of the CO2. When combined with a water-gas-shift (WGS) reactor, they efficiently convert syngas to H2 fuel as well. 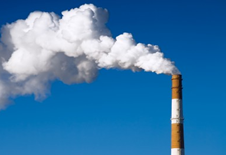 The technology is applicable at both coal- and gas-fired power plants. Cachet II is making important progress toward development of a technology that will facilitate simultaneous recovery of CO2 and H2 from pre-combustion of fossil fuels. The major goal of the project is to create a palladium membrane module that could be industrialised and commercialised in the future. Wind is one of the most promising forms of renewable energy sources. However, difficulty to find locations with a constant and steady supply of wind means that many turbines do not work with optimal capacity. They are also widely regarded as a blot on the landscape, causing visual pollution. 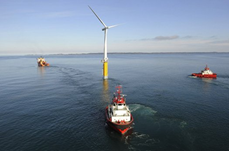 One of the ways of solving these issues is to locate wind farms offshore. At the same time, placing them too close to the land can disrupt shipping and fishing lanes. So, the answer lies in deep-sea wind turbines which are out of the way and take full advantage of the stronger and more consistent winds on the open sea. Current offshore technology is largely based on its onshore counterpart, despite the significant differences in conditions and environment. ‘ Future deep sea wind turbine technologies’ (Deepwind) is working on development of more efficient and cost-effective wind-turbine technology dedicated for deep sea use. Deepwind project is developing a simple floating offshore wind turbine with a vertical axis rotor and a rotating foundation. The scientists are exploring under real-life conditions different technical characteristics (torque, lift and drag on a rotating tube, etc.) of this turbine. The aim of the project is to gain substantial knowledge for the further up-scaling to very large systems. The above material was taken from the CORDIS database.